Since formal education is on my mind, I want to spend this week discussing the role of education in our lives and society. You do not need formal education to be a success! Whenever I start promoting the benefits of education, I feel this lingering argument that I actually agree with. The argument is this: there is an endless list of successful entrepreneurs and leaders who were never formally educated. I am well aware of this fact, and I am grateful to be raised under a free-market system that rewards hard work and ingenuity, not educational degrees. So before we start articulating the benefits of formal education, let’s all agree with this fact: You don’t have to have a formal education to succeed. What example do you have of someone who has been successful without a formal education? If you followed my wife’s twitter the last few days (www.twitter.com/bethallison), she did a great job documenting our wonderful long-weekend. Over the weekend, I graduated from Southeastern University in Lakeland, Florida (www.seuniversity.edu) with a Masters of Arts in Ministerial Leadership. This 36 hour program was one of the most enriching experiences of my life. I am so grateful that Dr. Charles Gaulden pushed me to enter this program. It was a personal goal of mine to get a master’s diploma, but the diploma will be a small part of this experiences. I gained so much wisdom through diverse professors, new reading material, writing and most of all the relationships that were formed through my classmates. I look forward to applying all this knowledge to my current position at CIL. As a reward to my family for their sacrifices during my time in school, we spent a few days at Disney World. It was perfect weather and we couldn’t have had more fun together. 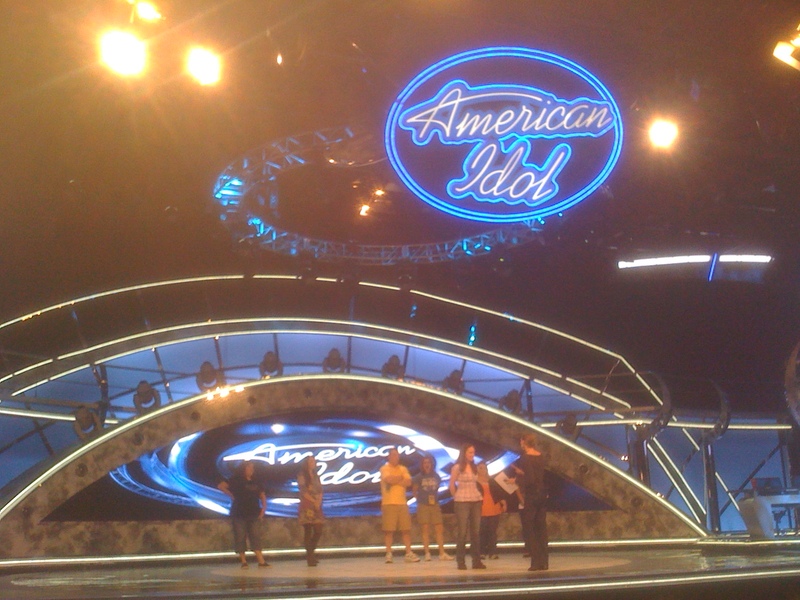 On Sunday, Beth won the American Idol contest at Disney’s Hollywood Studio theme park (she is on far left in this pic). It was really a big deal, with a huge crowd and production atmosphere. We were so proud of her, and had a blast! We are actually finishing up our last day at the theme parks today, before we head back to Nashville. I’ll always cherish these few days. 3. Search through the “Itunes Store” for The Church at Indian Lake. Church Mergers Make Sense Because . . . The future of the American church is in larger churches. I respect small churches, and I believe pastors of small churches are some of the hardest workers I have ever met. However, despite the amazing work of these heroes, people are leaving smaller churches for larger faith communities that can offer specific ministries. This is not a commentary, but a statistical fact. The future for the American church appears to be either “micro” home-based churches without paid leadership, or emerging “mega” churches with large paid staffs. Although the average church in America still averages around 80 people, more and more church attendees each year are flocking to mega-churches. I believe more church mergers need to occur so that stronger churches can immerge in our communities. Like it or not, people’s expectations for churches in the US are increasing, so strong churches can provide for those expectations. Strong churches can change the culture of our nation! I have celebrated some successful merges in our area, but the truth is most church merges in the past have ended in disaster. I have walked with some pastor friends through some potential church merges that collapsed in the midnight hour. 2. Speed. Once talks start, things need to move fast. This seems like unconventional advice, but the longer merge talks happen the more people get nervous about the change. 3. Strong financial positions. There will be fall out from the churches that merge, so the financial situation of the new entity should be strong. Whatever the financial situation that is stated, expect it to be worse than advertised.